Summer is coming and so are the matching outfits! This cool flowery t-shirt with light stripes is a perfect example. 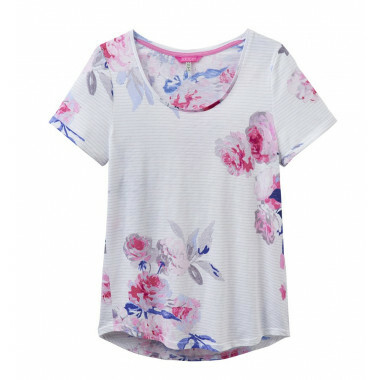 This harmonious, flowery t-shirt with light stripes is the perfect combination for a springy outfit. Round collar. 100 % cotton.